What I know about Iranian cinema could pretty much be written on the back of a postage stamp. If I wrote the word nothing the size of a postage stamp that is. Up until recently, I can’t recall ever watching a film from Iran, unless one has slipped from my memory (in which case it obviously wasn’t very memorable or I didn’t realise it was Iranian….does Persopolis count?). With Asghar Farhadi’s Nader and Simin, A Separation being the first film from Iran to pick up a Golden Bear for best film at this year’s Berlin film festival, I thought it was about time I introduced myself to the nation’s cinema. So to break my Iranian Cinema virginity, I decided what better way to start than with another of the nation’s most recently acclaimed films, Rafi Pitts’ The Hunter. To reveal the synopsis and premise behind The Hunter would not only be difficult, but would also spoil the film’s best feature, its unpredictability. Pitts’ film pretty much defies genre and is a difficult piece to label. Sections of the film could be pigeonholed to particular genres, but as a whole, it is a work that seems to transform styles as its plot unravels. At times flitting with the idea of a family-based character drama, it soon take leaps into the realms of the thriller and the action film. Its resistance to stick to genre and its refusal to settle into predictability only helps to keep the film’s viewer on edge throughout and you truly never know what to expect around the next turn. 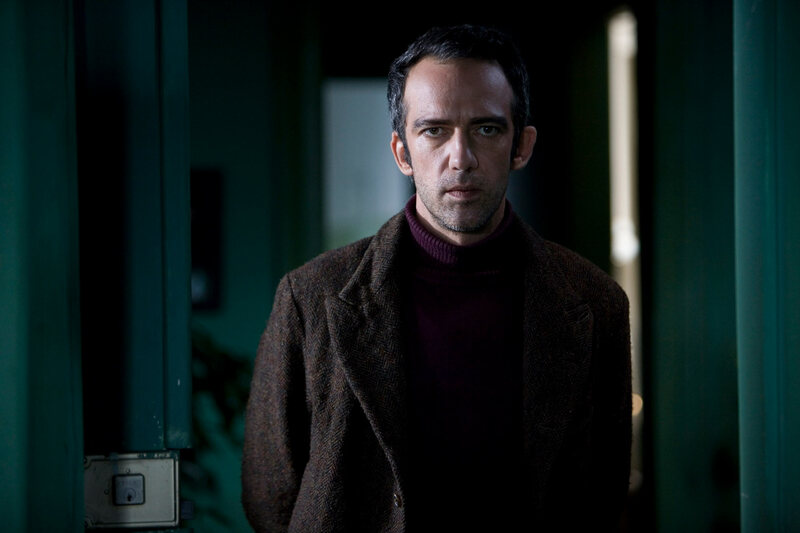 The Hunter is a film packed with tension and considering the lack of dialogue it posseses, a large portion of this tension has to be created by the presence of its mysterious main character, Ali (played by writer/director Pitts). Pitts’ Ali is a sullen and dark character, who uses his words sparingly and doesn’t portray emotion easily, his face tells the story of a life of hardship and of battles hard fought. Pitts is on screen for a large majority of the film’s 90 minute duration, so if his performance isn’t up to scratch, then his film fails (maybe this is why he cast himself in the role, he didn’t trust anyone else!). Luckily, the director’s faith in himself is rewarded, as his confident performance can hold the viewer’s attention with ease. In fact Pitts’ performance reminded of another solid piece of acting I witnessed recently, George Clooney in The American, only darker and moodier. If I had to use one word to describe the production style of The Hunter it would definitely be sparse and by no means is that meant to be derogatory, if anything it’s this low key approach that makes Pitts’ film stand out. A subdued palette and some restrained camerawork give The Hunter a simple, but assured aesthetic that manages to be both modest and memorable at the same time. The post-production is also an unobtrusive affair, there is no special effects wizardry on show, no editing tricks, just well timed cuts and tension built in all the right place. Many may find the pace of the edit too slow or cumbersome, but for me it was near perfect, leaving just enough time for the audience to ponder what they are watching and evaluate exactly what is happening. The film’s soundtrack sporadically pierces the film, building tension at all the right places and like the film’s style, its soundtrack playfully skips through different genres whenever it feels like it, shifting the mood and feel of The Hunter at ease. The soundtrack works best when it is at its rawest, mixing heightened sounds of nature with stripped down drums or meandering beats, at times feeling like its been taken straight from Jim Jarmusch’s Dead Man or The Limits of Control. Iranian cinema appears to be going from strength to strength at the moment and The Hunter is a clear example of the refreshing films coming out of the country at the moment. Pitts’ latest creation is a solid piece of filmmaking, that highlights the confidence the director has in his talents, The Hunter unravels at the speed it wants to unravel and doesn’t need to rely on gimmicks or trickery to win over audiences. Instead powerful performances and tension-inducing storytelling lead the way here and for me it will take a very strong film to better The Hunter this year. Note: I purposefully haven’t included a trailer for The Hunter as I feel it pretty much spoils the film, knowing as little about the plot as possible will only multiply the effect of the film.